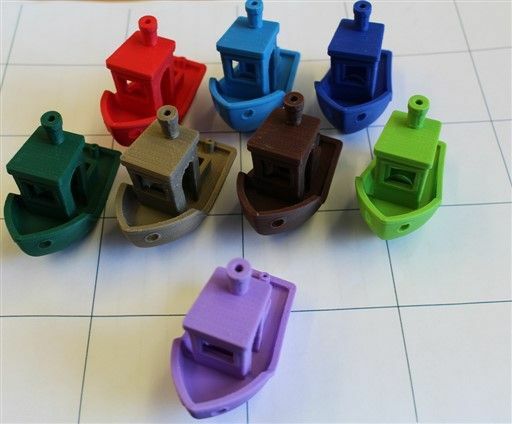 An easy to print Premium ABS, great layer bonding, low odor compared to other ABS filaments. The price you see is the price you pay, delivered to your door for a whole 1 Kg spool. Low warp, Low odor, Low Price! Easy to print. 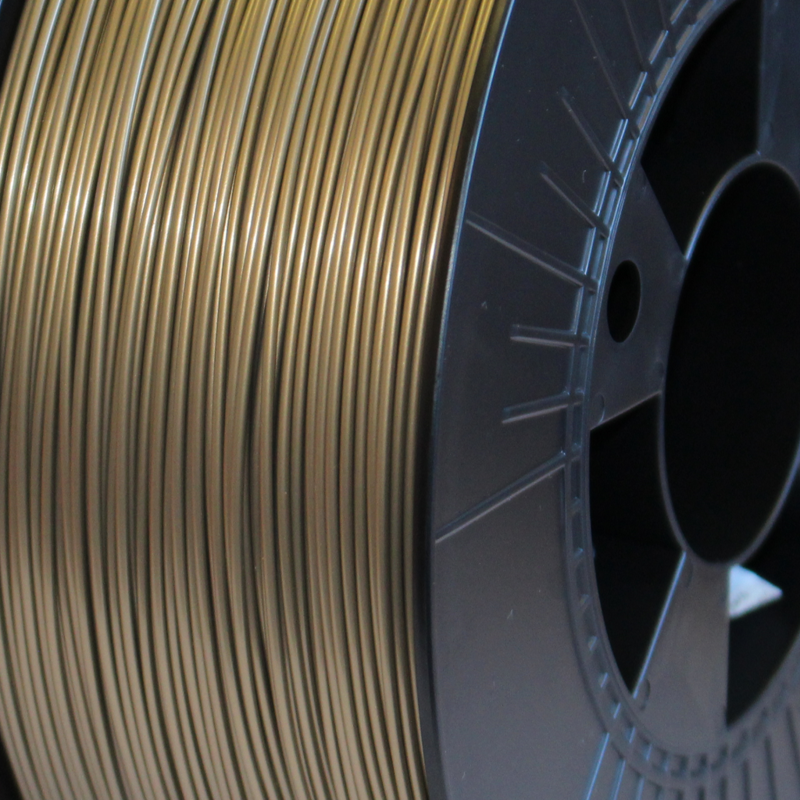 1 Kilo of Bronze Gold premium ABS 3D Printer Filament, amazing value for money. 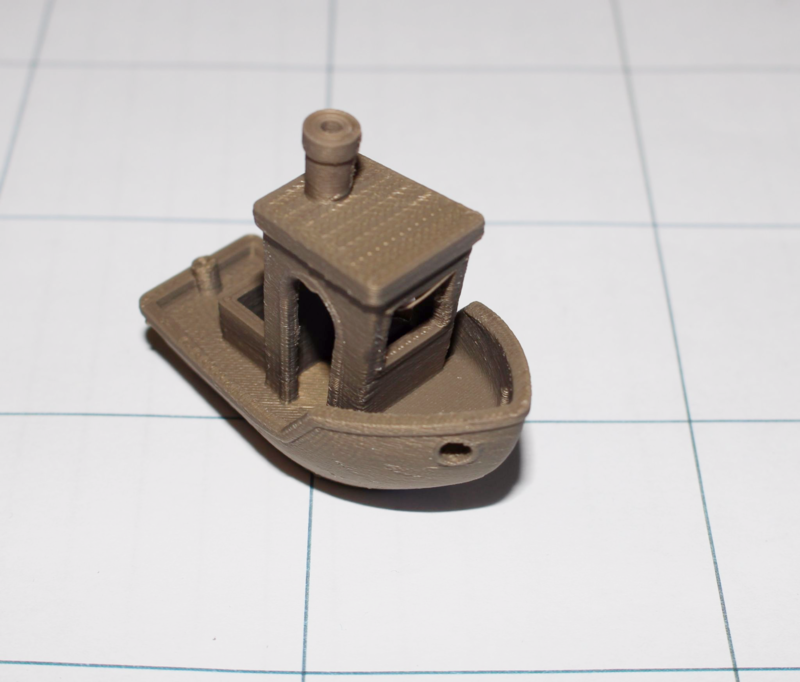 Great layer bonding,(see 3D Benchy print sample in photo), easily prints on a bed of Kapton Tape, PrintBite or Lokbuild. Always print in a well ventilated area. I originally ordered this filament because of the success of the Filaprint silver filament I'd bought, and initially I wasn't too thrilled. It took longer to get it dialled in to working on my Zortrax M200, it took many plugged nozzles and a lot of wasted filament, but once I got it right...... wow. This filament is the bacon of 3D printing, it just makes everything BETTER. I've used it on many of my old designs in which I originally used yellow and all of them have looked soooo much better! I recommend, if you're also printing it on a Zortrax M200, setting the nozzle temp to 260, leave the bed temp at 85-90 degrees, and it'll come out great. I will DEFINITELY be buying more when this huge roll finally runs out!